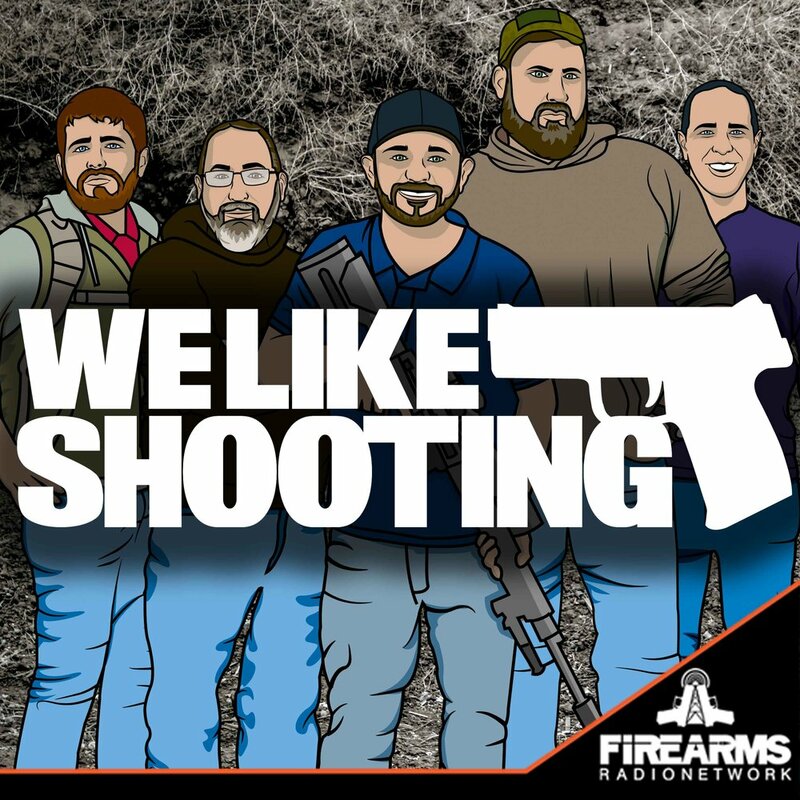 In our listener appreciation episode we’ll talk about Smith & Wesson M&P Pro, Lone Wolf conversion barrel, Forster Die set, AR15 Upper, hydrographic printing, surefire, black aces pro series. On occasion we plan to have listeners join us for the show. You all listen to us, why not come laugh with us? Savage1r- Savage is a YouTuber who makes videos about shooting, philosophy, co-star in the movie, the color purple and do it yourself projects. Aaron - Law enforcement marketing specialist, Once fought Cthulhu to the death for a cup of coffee, and edia contact for WLS, also a cupcake kind of guy. Nick - Nick spends his day making high dollar rifles and barrels and his nights fighting crime in a green and yellow wetsuit. Shawn - I’m Shawn, I’m an instructor, reviewer, competitor and a father of 10,000 babies. Doug- Law enforcement officer in Idaho, Avid hunter, professional redneck and once killed a bear with with his bare hands. Shawn: Tons of dry fire practice with my new gun. Timed draw - target acquisition, draw - target acquisition - fire, draw - target acquisition - fire - reload, fire- reload, etc. Went and practiced with my new competition m&p. Doug: Lots of draws, dry fire, and reloads every day before shift starts. Looking forward to Taser training on November 11th. -Doug: Surefire Fury P3X, pocket spotlight. This segment is for us to talk about aggravating things in the gun world. Panelists, Vent away. Illustrated guide to gun control - Thanks Robert W.
Rachel Greene - Nick -Hi-Point .40S&W reamed to shoot 10mm, because she’d probably hook up with Jeremy, and he’d forget the gun in her nightstand. Monica Geller - Zak:varies depending on what the flavor of the week is-1911, Glock, M&P, etc. Phoebe Buffay - Lil: Smith & Wesson .500 - Some old 7 foot ex-Marine, who she met in the coffee shop and agreed to give a ride after his truck broke down, left it in her car. She found it and spent the whole episode trying to give it back to him. In the mean time she kept accidentally firing it at just the right time (oddly, handling it like a pro) and she saved a guy from a car-jacker and ran robbers out of the coffee shop. Ross Geller - Doug: Kimber stainless 1911 with mother of pearl grips. In a small of the back holster. For when his Ka-Raa-Tay doesn’t work. Janice Hosenstein - Aaron - Zip gun, it’s like the ex girlfriend that you cant get rid of. Gunther: - Hermey - Walther PPK, cuz it’s New York and is within the limits and its German and he could hide it in the coffee shop. Shawn: benstoeger.com - suggested by Robert W. What a great resource. I am looking at doing my first AR build. What are some of the things that I should be looking for? I am looking at getting a 80% lower complete kit with a complete upper. Is this a good idea or should I go with buying the parts individually? Also some email feedback from (that gmail misfiled. Sorry about that, the glitch has been fixed.) Keep an ear out as we have added your listener questions to the queue. Robert W for his suggestions on left handed 1911 carry. We appreciate the feedback and Nick has agreed to give the listeners wiping tips. If you like our show, please share share share. On facebook, twitter, google plus, your friends, your family, your friends again. Indoctrinate them in the ways of we like shooting. We are trying to start a cult here people. We need your help. We have juice. Sponsors? Contact us at feedback@welikeshootingpodcast.com to get information about advertising on our show. Shawn: Student of the gun. Mixed feelings. Wow some awesome content, but the politics are excessive. Still I love the show though. Thanks for <interruption> listening <interruption> , and shoot <interruption> straight.